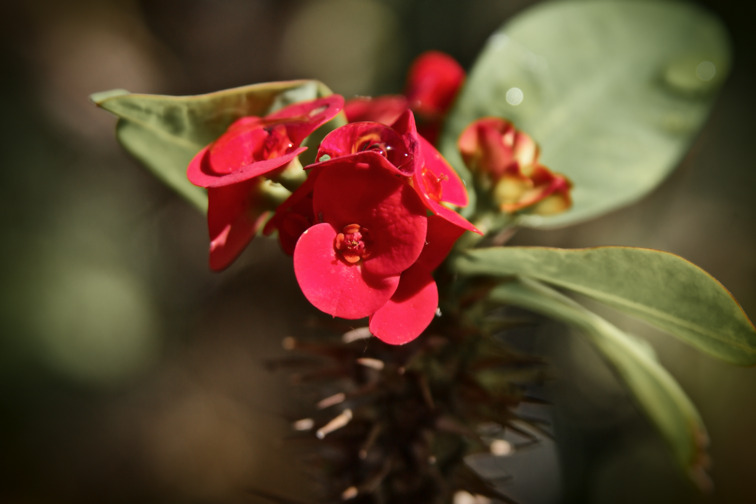 This is a very pretty red flower in Darwin's Botanic Gardens. (If you know the actual name, please let me know). This is my first experience with using Photivo to process my photos instead of UFRaw and GIMP, and I think the results are fairly good. I desaturated the green to further accentuate the red in the flower, and added a vignette. *Note: The resolution of this image has been reduced to 1500x1000 maximum. If you need a larger version I can provide up to 3656x2440. Contact me through this website, with just a brief explanation of why you need a larger version and in which way I will be attributed as original creator. I am happy to provide the full resolution version, but I would also like to protect my ownership of the image.